What Is a §8 Declaration And Why Is It Needed? The United States Patent and Trademark Office (USPTO) are responsible for not only reviewing and granting trademarks, but this office is also responsible for maintaining trademarks. When a corporation or individual registers a trademark with the USPTO this trademark is only valid for a period of ten years. After the ten years are up, the trademark owner needs to renew trademark in order to keep ownership. During the renewal process the trademark owner must file a §8 Declaration. The §8 Declaration is a form that is used by the USPTO to assess whether the mark is in fact still in use or not. Why must the mark be in use? The purpose of a trademark is to protect someone’s original work from others using it for profitable gains. However, if the owner is not utilizing a mark then the USPTO deems it is fair game for others to use. Think about it this way. A small ice cream shop opens its doors in 1992 and the owner trademarks a logo of a smiling ice cream cone cartoon. The shop stays in business for twenty years before the owner decides to retire and close the shop. His logo trademark is no longer being used. Meanwhile another ice cream shop opens in the next town and the owner wishes to use a similar designed smiling ice cream cone logo. If the retired ice cream shop owner were still in business then this would be trademark infringement. However since the shop owner is no longer in business, the trademark can now be used by others. It would be unfair for corporations or individuals to trademark a mark solely for the purpose of impeding the growth of another business. What if the retired shop owner did not personally like the other ice cream shop owner and wished to sabotage his business. He could simply renew the trademark and force he other owner to rebrand. 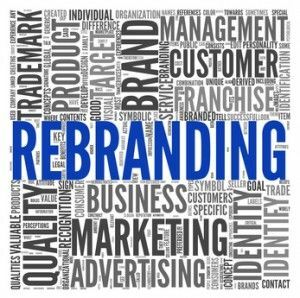 Rebranding is time consuming and costly. This is why the USPTO monitors the usage of trademarks. What is needed to complete the §8 Declaration? The §8 Declaration must include the registration number, contact information of the current owner and payment for covering the renewal filing fee. The form must also include a statement verifying that the mark is in use, list all the goods and services that are related to the mark in the registration and provide at least one specimen per class of goods and services. A specimen is an example of usage such as a logo shirt. Lastly, the trademark owner must submit a signed and dated declaration by an attorney. Trademark law offices are equipped to service individuals or corporations in the renewal process for trademarks. To find out more information on §8 Declaration forms, contact a trademark attorney.